The order, issued by the department on March 18, said the licence granted to ANI Technologies (Ola’s parent company) had been suspended for six months, under the provisions of ‘The Karnataka on Demand Transportation Technology Aggregators Rules, 2016.’ It added that the firm was using its existing cab aggregator licence to promote bike taxi services. After an investigation by the department confirmed this, the government seized some of its bike taxis, the notification added. The state government had sent the notice to Ola on February 15, to which the cab aggregator had replied on March 5. However, the government was not satisfied with the response and suspended the licence as a result. Ola is now barred from operating its aggregator service for any vehicle including cars, autos and bikes, according to the order. “This notification is unfortunate, and we look forward to an opportunity to address these concerns directly with state officials, and thus find a solution for our driver-partners and millions of customers,” Ola said. The decision comes at a time when the company is engaged in a fierce battle with US rival Uber, which is rapidly gaining market share in India. Ola said that it has been working closely with authorities, responding to queries, and also making proactive representations to the ministry. “Despite other firms continuing to operate illegally, we halted our bike taxi experiment weeks ago,” it said. The firm has raised $3.5 billion so far from global investors such as SoftBank, Accel and Tiger Global Management. Besides Ola, another start-up Rapido — which runs a bike taxi platform — had come under the radar of the Karnataka Transport Department. Last month, it was reported that transport officials seized over 200 bike taxis that were being operated by various aggregators, as part of a week-long drive against running bike taxis illegally. Officials pretending to be customers had booked bike taxis through the aggregator platforms and caught the two-wheeler owners. Most of them were unaware they were violating the law but faced action. Earlier this week, Hyundai Motor Company (Hyundai) and Kia Motors Corporation (Kia) had announced a $300-million investment in Ola. As part of the agreement, the three firms would collaborate on developing unique fleet and mobility solutions, and building India-specific electric vehicles and infrastructure. 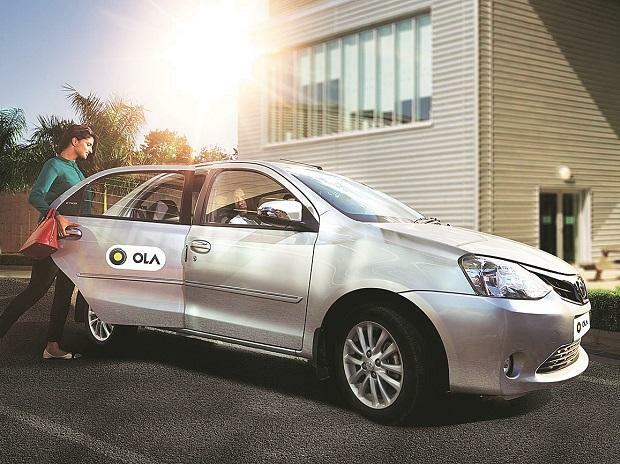 Ola, which hosts more than 1.3 million driver partners on its platform, claims that its aim is to create over 2 million livelihood opportunities in the mobility ecosystem by 2022.